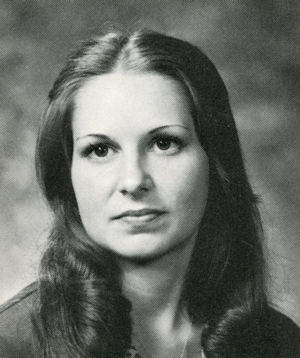 Obituary – Thompson, Julie Diane « Perry High School Alumni Association, Inc.
FHA 74-75, Band 74-76, Typing II Club 76-77, Newspaper 77-78. ﻿Funeral will be at 2 p.m. Tuesday at the First United Methodist church for Julia Diane (Judy) Thompson, 18, 1703 Twelfth street, who died at 3:58 p.m. Saturday at St. John’s Medical center at Joplin, Mo., of head injuries received Feb. 8 in a traffic accident near Carthage, Mo. Officiating will be Rev. Bill Higgins, pastor of the United Methodist church. Burial will be at Grace Hill cemetery under direction of the Parker funeral home. The casket will be open at the funeral home until 1 p.m. Tuesday, hut will not be opened during the service. Miss Thompson’s father, James (Jim) Thompson, is principal of the Perry elementary school. Mrs. Thompson is secretary to the superintendent of Perry schools. John Coker, superintendent of Perry schools, said classes will be dismissed at 1:15 p.m. Tuesday at the Perry elementary school and at 1:30 p.m. at the Perry junior and senior high schools. A memorial fund has been established for the United Methodist church. The local church and Parker Funeral home are custodians. Miss Thompson was born Feb. 19, 1960, at Woodward. She would have been 19 years old Monday. She was a 1978 graduate of Perry high school. Recently, she had been employed as a cashier at Red’s Deli at Stillwater. Miss Thompson was a member of the United Methodist church. Survivors include her parents, Mr. and Mrs. James Thompson, of the home address in Perry; three brothers, Steve. Thompson, Stillwater; Jamie Thompson, Perry; and Michael Thompson, Stillwater; one sister, Mrs. Buddy (Teresa) Jones, Perry; her paternal grandparents, Mr. and Mrs. Ferris Thompson, Anadarko; and her maternal grandparents, Mr. and Mrs. Ralph Wolfenberger, Coyle.